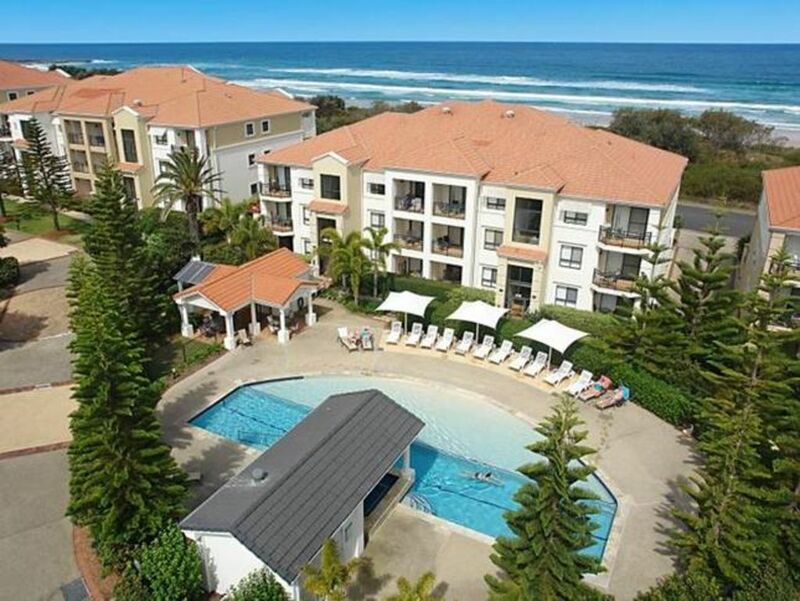 Unit 21, The Sands at Beachside, Yamba, is a top floor luxury beachfront apartment on the N.E. sheltered corner of the building. The apartment is fully self contained with quality fittings throughout. Linen is not supplied and must be used on all beds. Please bring sheets, towels, pillow cases and bath mats. Alternatively, you can make arrangements to hire Linen from the local laundromat The Washing Well if required. They will even deliver if you ask them to. Washing Well phone number is 0266461571. Please note linen hire costs are not included in your booking total. The unit has 3 bedrooms, 2 bathrooms and a laundry. The configuration is a queen size bed (master bedroom) and 2 single beds in each of the others. The Sands, in which unit 21 is located, is part of a resort which includes 2 swimming pools (1 heated), an outdoor heated spa, 2 tennis courts and BBQ's all set in beautiful tropical gardens. Unit 21's position right on the beachfront offers unsurpassed views over magnificent Pippi Beach and the Pacific Ocean from 2 balconies, lounge, main bedroom and even the bathroom spa! One of only a handful of apartments with a N.E. aspect, the balcony of unit 21 is sheltered from winter southerlies but facing the lovely cool sea breezes of summer. From the balcony you can regularly see whales and dolphins just off the beach, the prawn trawler fishing fleet sailing past in the evenings, and the sun rising over the horizon to start another holiday adventure. Concerned about security? Entry to the complex is by key/swipe card. In addition Unit 21 is on the top (3rd) floor which affords extra security and privacy as well as superior views and breezes. Unit 21 tenants have free access to 2 pools (one heated), a heated outdoor spa, BBQ area in beautiful manicured gardens, 2 tennis courts, 2 garage car parking spots, a private lockup storage area in the garage and a general boat storage and car wash area. The Sands is located within walking distance of beaches, 18 hole golf course, Golf & Bowls Clubs, childrens' playground, picnic areas, marina, town centre and the renowned Pacific Hotel. Absolute oceanfront, dolphins, whales and views to die for! large corner hot spa you can see the Pacific Ocean from! 2 with views to die for! Yamba is one of CSIRO rated 3 best climates in the world. Fantastic place to visit in our temperate Winter. Wonderful family holiday with beautiful views and a pool for the kids to enjoy. Excellent place. Great location. 3 bedrooms. Nice views. I stayed here with my hubby, baby & inlaws & it was perfect. Gorgeous views, clean condition. The only thing I'd change is having 2 double/queen beds rather then 1 d/q & 4 singles. Great property. Fantastic views of surf. Clean and roomy. Very well maintained. Good kitchen. Our stay was very relaxing, close to town centre and right on the beach. Clean. Spacious. Walking distance to the beach. My family absolutely loved their stay. Will book again.